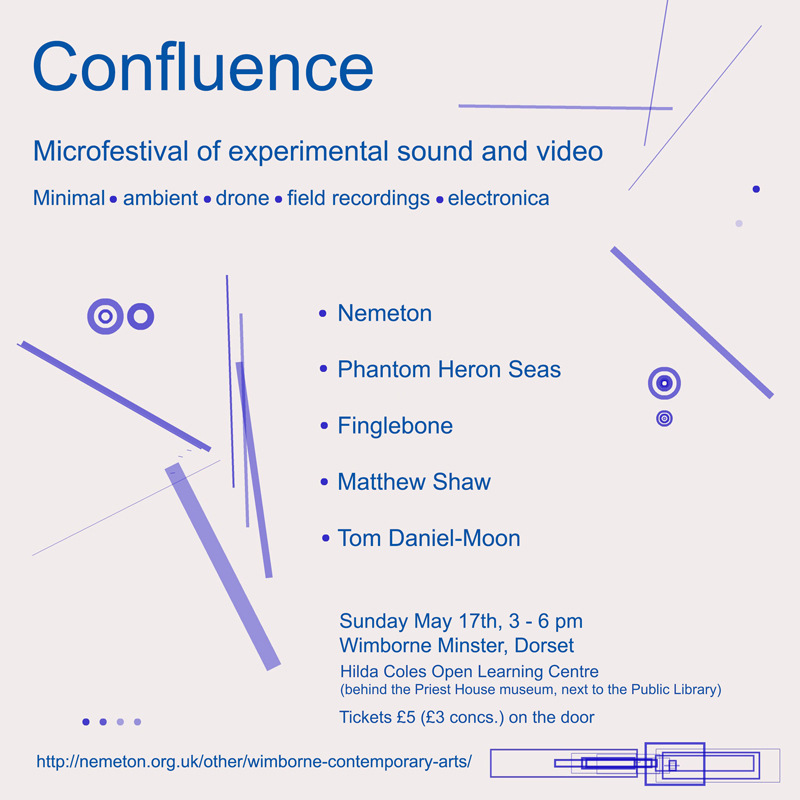 confluence microfestival of experimental sound and video :: Sunday May 17th, 3 – 6 pm. Associate artists ivon oates and David Rogers video works are being screened at confluence microfestival of experimental sound and video. Featuring Nemeton, Finglebone, Phantom Heron Seas, Matthew Shaw, Tom Daniel-Moon. Hilda Coles Open Learning Centre, Wimborne. This entry was posted in ambient, associate artist, audio, David Rogers, ivon oates, moving image, partnerships, soundscape, visual. Bookmark the permalink.